The Group are delighted to unveil 5310 in her new livery of early 1970’s-style BR green with full yellow ends and D-less numbers. This is the culmination of a lot of hard work that has taken place in Pentrefelin carriage sheds since she moved there at the end of January. We have been able to achieve a lot more than the basic tidy-up of the badly faded and peeling bodysides that was initially planned. The roof, front ends, sole bars and bogie components have all been prepared and repainted. A considerable amount of work has also taken place inside the engine room, with the power unit, generator, some of the inner body sides and pipework all receiving new paint. A new driver’s side windscreen and sealing rubbers have been fitted at No 2 end along with new fuel filters. We would like to thank everyone who has got stuck in with the loco over the last few weeks. The next stage is to get the air tanks tested before hopefully moving 5310 to a location where we can lift the loco and swap the damaged traction motor for a refurbished spare. 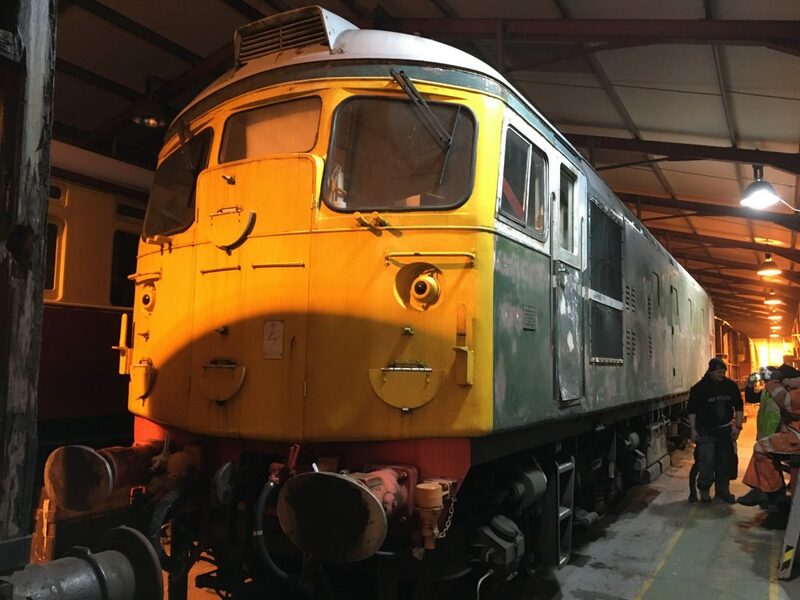 This spare motor has been acquired through the generous support of another Class 26 owning group and is currently under overhaul by a specialist contractor. Both photos by Mark Smales. A belated happy new year to all our supporters. After a busy end to 2018, 2019 continues to find us plenty to do on our fleet. Discussions are ongoing to find a partner to allow us to lift and repair D5310. We are hopeful of being able to make a positive announcement about this very soon. In the meantime we have been kindly given a space in Pentrefelin carriage shed to carry out some much-needed body work on the loco. She moved undercover on Monday 21st January. Body sanding has started in earnest, with one side around 2/3 complete by Tuesday 22nd. A leaking windscreen at No 2 end has also been removed for seal replacement and some metalwork. Considering the loco was last painted at the end of 2005 at the Great Central Railway, the paintwork has stood up extremely well, although there wasn’t much of it left on this side of the loco, which faces the river valley and most of the daytime sun. The metal underneath is largely in excellent condition for a 60 year old locomotive, with previous repairs also holding up very well. Some filling will be required around the radiator grille and on the GRP doors. We will carry out a basic renovation to make her more presentable when she heads off on her travels for repair. The full yellow ends will remain as is and the bodysides will be repainted in plain green without the white stripe or window surrounds. Whilst this was not a livery variation carried by D5310, it was carried by another class member in the 70’s. It was applied in a similar vain – to tidy up badly weathered bodysides. She will carry the number 5310 to represent pre-TOPs condition. Provided traction motor repairs are successful we will then carry out a full repaint and further bodywork in the winter of 2019 or 20 and return her to original BR green, initially without any yellow warning panels. The sign of things to come! The D has been sanded off leaving just the numbers – how she will be numbered during her temporary repaint into plain BR green with full yellow ends. 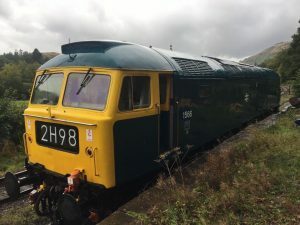 Concluding what has been a very busy period for our Group behind the scenes, the Llangollen Diesel Group are pleased to announce that, thanks to the support of A1A Locomotives Limited, Class 31 No 31271 will be spending the 2019 and 2020 seasons on the Llangollen Railway. Subject to final agreement and outstanding operational commitments, the 1961-built Brush Type 2 should arrive in North Wales some time in April next year for a two season stay. This will be the second visit of a Class 31 to the railway, with A1A’s 31162 spending two successful seasons with us in 2011 and 2012. We are very much forward to welcoming them back and seeing 31271 at work in the Dee Valley. 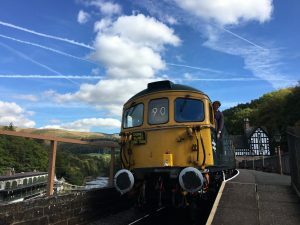 In working beyond Bonwm, which was as far as 31162 could venture back in 2012, 271 will also offer new mileage for the class in reaching Corwen Central. 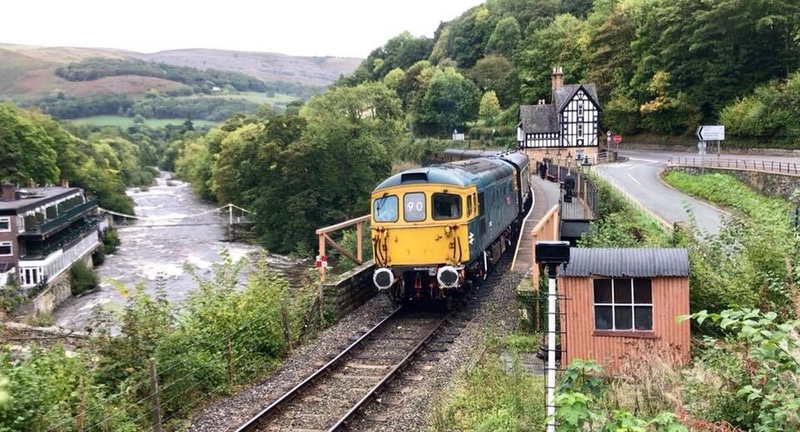 With the sale of 6940 to Boden Rail Engineering Limited earlier this month, 31271 will ensure that the tones of the legendary English Electric 12 cylinder engine continue to reverberate around the Dee Valley (albeit without an intercooler in the 12SVT configuration). She arrived at her new home the following morning and is seen here shortly after arrival at Boden Rail Engineering’s Eastcroft Depot in Nottingham in the company of a Class 56 (and possibly a Class 67). This is the first time 240 has been on mainline-connected NR metals in 16 years. We look forward to seeing her head through that (open!) gate in the future! With thanks to Neil Boden for the photo. We wish him all the best with his slightly early Christmas present. This concludes the chapter in the life of 37240 as the “Beast of Berwyn”, for now at least. We are sad to bring it to a close, but equally excited to see what her future holds and wish her owner as much enjoyment as we’ve had (alongside the blood, filth and sweat!). 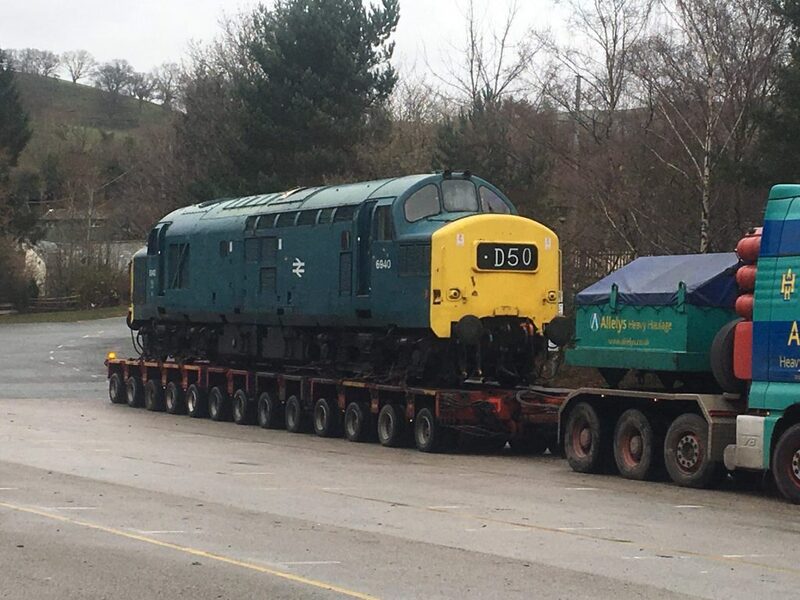 We can confirm that 6940 has now been sold to Neil Boden at Boden Rail Engineering Limited and is leaving Llangollen today, December 17th 2018. It will be very sad to see her leave us, but the loco has a very bright future ahead with Neil and his team – he hopes to return her to the mainline with his Class 50’s. The loco’s sale has allowed us raise some much-needed funds to repair D5310’s traction motor. We are sorry that a farewell running event has not been possible, but thankful the loco was able to offer so many miles throughout 2018. We would like to thank everyone who has shown interest in 6940 and wished us well with our future plans. We were surprised by the number of responses and received several very serious offers. We wish Neil every success with 240 and look forward to seeing her receiving the mechanical attention she deserves. Finally, we would also like to thank everyone who has supported “The Beast of Berwyn’s” running at Llangollen over the last 15 years. As Dr Seuss once said, “Don’t cry because it’s over. Smile because it happened”. Photo by Mark Riley. 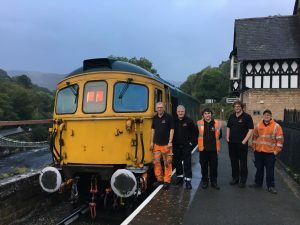 The Llangollen Diesel Group held our Annual General Meeting on Sunday November 25th. Following a comprehensive review of our operations and resources carried out ahead of our AGM, the difficult decision was made to reduce our fleet size. 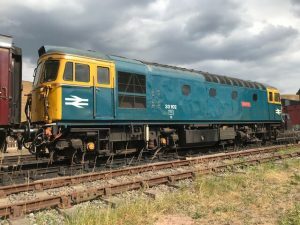 Based on a careful appraisal of locomotive condition, we are reluctantly offering Class 37 6940 for immediate sale where seen lying to any interested party. After initial announcement of this news via social media last week, there has been considerable interest in the locomotive and we are currently hopeful of concluding a sale by Friday 7th December. 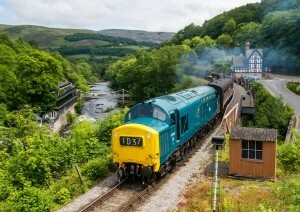 Any serious further expressions of interest should therefore be made ASAP to publicity@llangollen-diesels.org.uk. We appreciate this will be disappointing news to a great many folk who have supported 6940 over the years and can assure you that it is not a decision we are taking lightly. 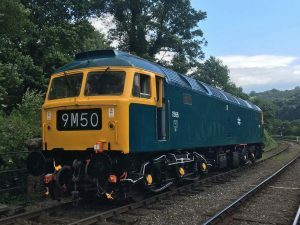 Continued problems with the loco’s reliability throughout 2018, culminating in a failure of the vacuum system at our September diesel gala have shown us that 6940 is now in need of comprehensive mechanical overhaul. This work needs to include a full power unit and bodywork overhaul. 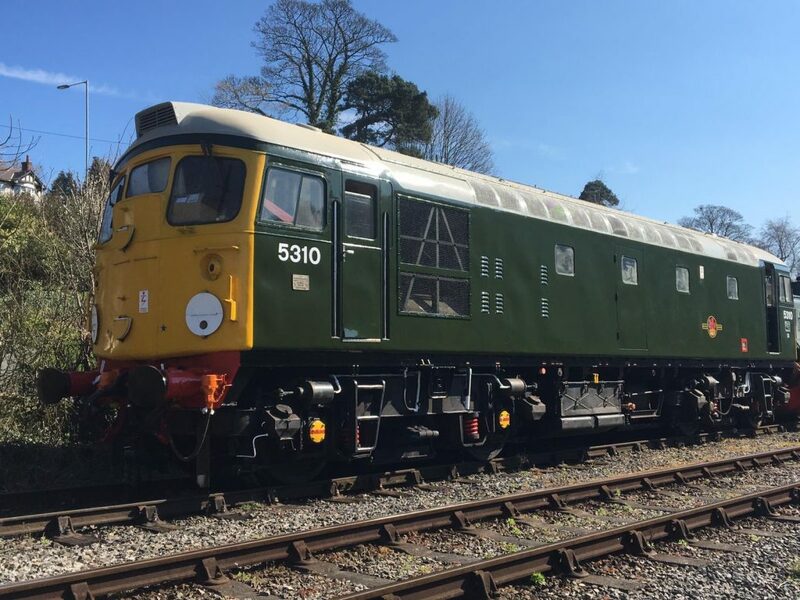 With D5310 also facing an expensive and complex traction motor repair and arguably a more suitable machine for the group and the railway, tackling such an overhaul is beyond our funds, manpower and facilities. We are hopeful of giving 6940 a better future under new ownership but bringing the “Beast of Berwyn’s” legendary reign in the Dee Valley to an end is a very sad moment for us. Unfortunately it is not expected to be able to use her again on the railway as repairs to the vacuum system will be expensive and therefore not in the best interests of the Group with her likely to be leaving us imminently. With well over 1000 miles run in 2018, at least 6940 will leave us after providing many happy public miles to her followers. The LDG also wishes to stress that this decision is in no way based on our relationship with the Llangollen Railway, which remains very strong. Indeed 2019 will see increased diesel running and another reason for making this decision is to allow us to concentrate our resources on providing two reliable Sulzer locomotives with a number of common parts and systems, rather than struggling to provide 3 unreliable ones. 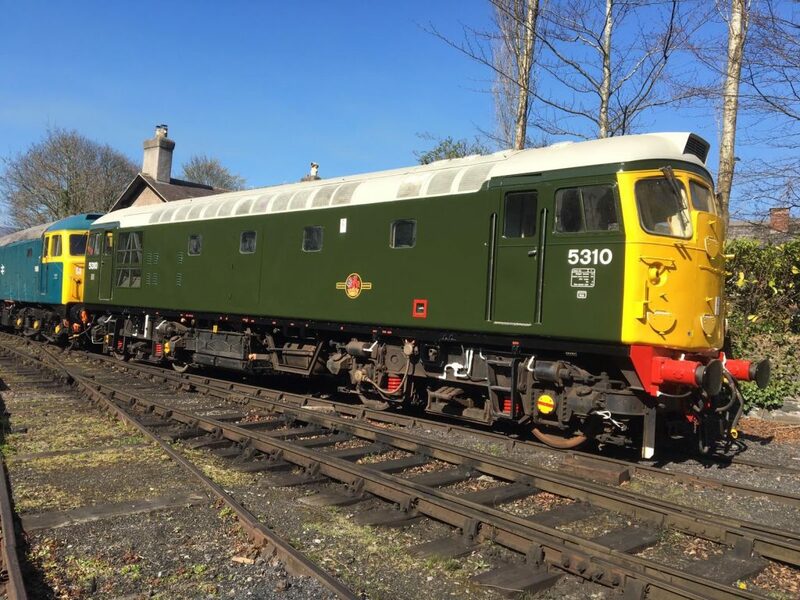 With D5310 and 6940 unavailable for traffic and 1566’s reliability still comparatively unproven, discussions were already underway with the LR’s Management about arranging for a visiting locomotive for the 2019 season before we made the decision to sell 6940. We are delighted to announce that support for a visiting locomotive has now been confirmed and would be delighted to hear from any interested locomotive owners that can consider a visit to the Llangollen Railway. This would ideally be for two seasons and with at least 10 operating days on offer covering running days, special events, driver experiences and out-of-season works trains. 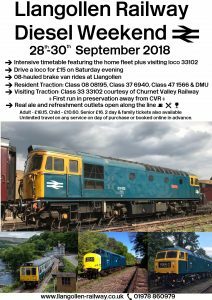 Any interested parties should contact publicity@llangollen-diesels.org.uk. Our line is extremely scenic and previous owners of visiting locomotives have enjoyed themselves – with 33102’s recent stay being no exception. 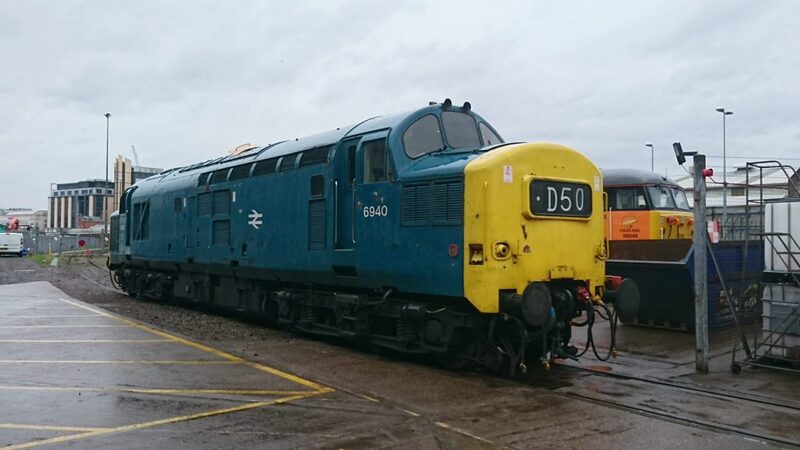 The Group are in the process of discussing an opportunity to get D5310 lifted for traction motor repairs. This will be a large and complex job and will most likely need to take place away from the railway, as suitable lifting facilities are not available at Llangollen. Traction is expected to be Class 47 1566 and our visiting locomotive, to be confirmed. 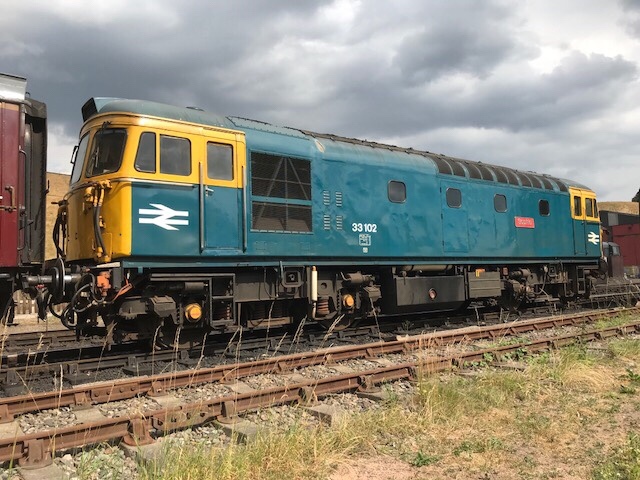 It is hoped that D5310 will be repaired in time for our September Diesel Weekend, but this is very much subject to progress on repairs and hire by the railway we may be visiting to support us with repairs. Thanks to everyone who supported our Diesel Weekend. The event was a success, with 33102 performing superbly and all timetabled trains running although with propelling moves on Saturday due to 6940 failing with vacuum problems. Our CME Mark Smales worked very hard to get her fit for the last train on Saturday – so it’s good to see that was appreciated by so many folk who waited for the last train. 6940 was in use again on Sunday, although the fault (AV2 valve and an air reservoir) reared its head again during the last train of the day, meaning the final run back from Carrog was double-headed. The shunter workings proved fairly popular and 08195 performed faultlessly, a testament to the huge amount of work done on the loco by Tim Hines (seen in front of the loco in the photo shown above). We’d like to thank the CVR and their dedicated team for loaning us 33102, which behaved impeccably all weekend. The Channel Islands Boat Train headboard and Weymouth Tramway bell and lamp box seemed to go down well. It was also brilliant to be have 1566 back in traffic. The loco performed well after extensive further work on the power unit. Many thanks to all those who have been involved with this. There was a very pleasant BR blue timewarp on Friday evening at Goods Junction during final shunting and fuelling preparations. 1566 is now sorted and strumming on 12 cylinders. Many thanks to Tim Hines and the ex-BR Crewe fitters he works with, who came and had a look over her with us on Saturday. They pointed out that the tiny copper washers you need on the end of the supply line to the injectors were missing on 6 cylinders – which was preventing the fuel line pressurising sufficiently to supply fuel the injectors. With the washers back in place the engine is now running well and 1566 made a short light engine test run to Pentrefelin Dock and back. Photo by Mark Smales (who has continued to work very hard to get the loco back in traffic). 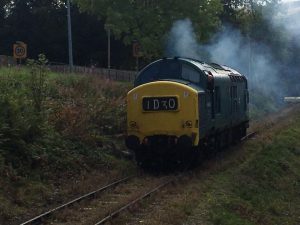 33102 performed well on Saturday, thanks to those who came along for a spin. Here’s an excellent shot from Frank Richards of the “Bagpipe Crompton” leaving Berwyn on her first public train in North Wales. 6940 was called upon to work a train yesterday morning in place of a failed steam locomotive. She’s seen here leaving the yard with all appearing well. Unfortunately she then failed herself with an air/vac relay fault. We’ve sorted that this morning so, for now at least, we have 3 machines ready to entertain you this weekend. The 104 has also been fully reformed for those who enjoy a properly noisy BRCW unit. Photo by Mark Smales. 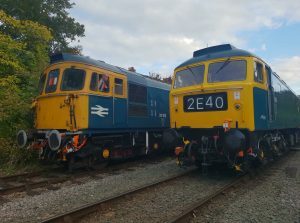 We are delighted to announce the visit of Class 33/1 33102 to the Llangollen Railway for our Diesel Weekend on 29th & 30th of September. The North Staffordshire Railway Company’s BRCW Type 3 has been based at the Churnet Valley Railway for nearly 25 years and has never worked a train in preservation away from the CVR. The loco should arrive with us in Mid-September for around a month’s stay. We are hoping to get 33102 out and about on some additional days to maximise the opportunity to sample a “Crompton” at work in the Dee Valley. This should include our September 22nd B timetable running day with others TBC. 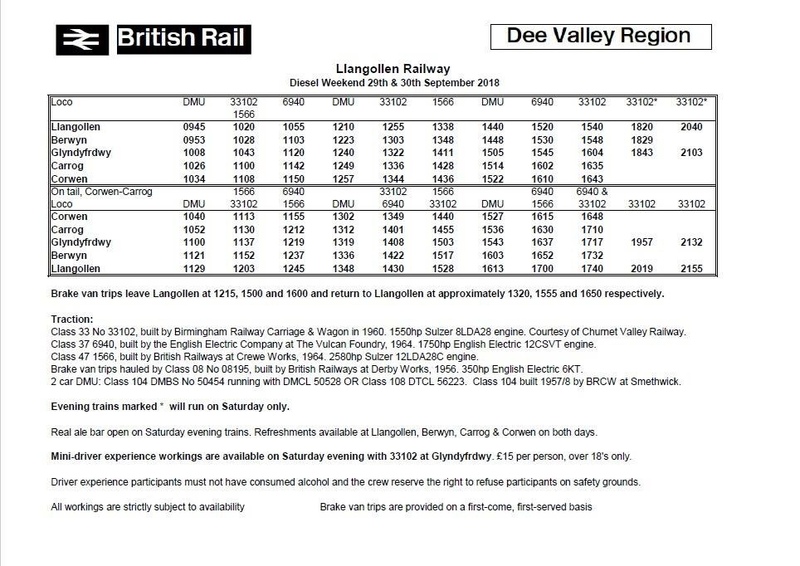 This will be only the second Class 33 to visit the Llangollen Railway, the previous one coincidentally being consecutively-numbered 33103 way back in 1997. We are very grateful to the CVR for making 102 available to us. Photo by Martin Pyrzyna. 13/9 UPDATE. 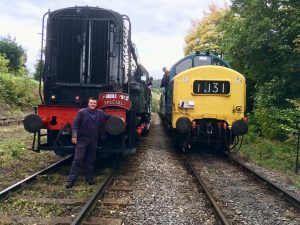 We are delighted to confirm plans for our Diesel Weekend. 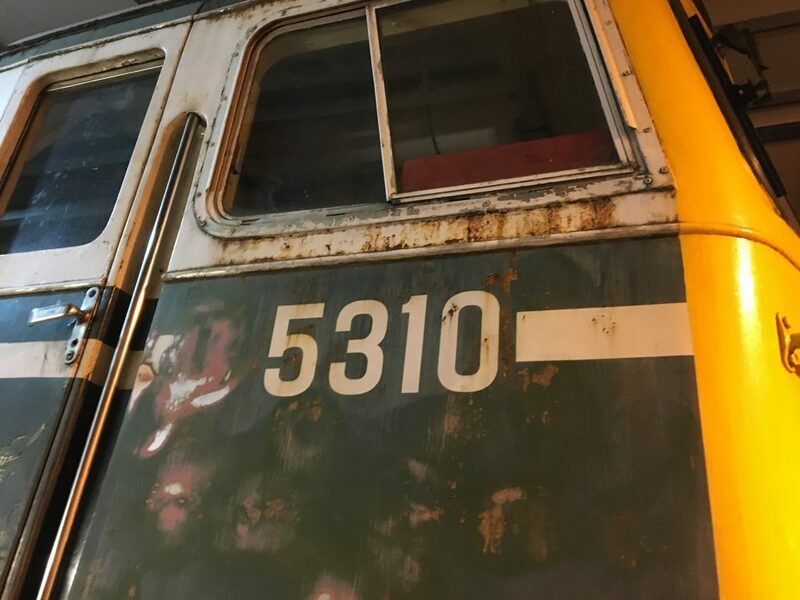 We are hopeful 1566 should be joining 6940 and 33102, but this is dependent on receiving fitting and testing overhauled injectors in time along with reassembly and test. 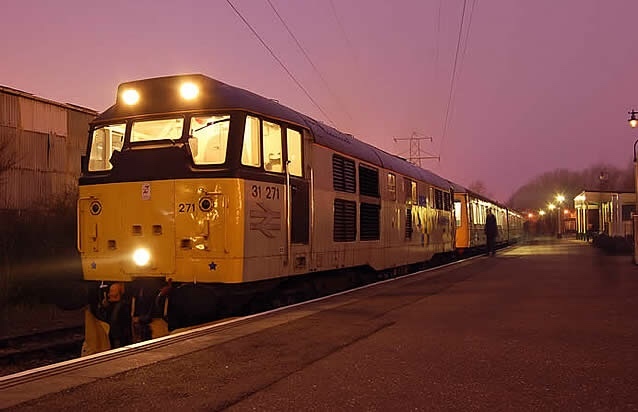 Friday 28th will see 33102 on the scheduled 3 trip A timetable in place of the rostered DMU to extend the event (thanks to the LR Railcar Group for supporting this). The DMU for the weekend should be the Class 104 (currently running as a 104/127 hybrid). 08195 will work 3 rare track shunter brake van shuttles each day taking in the line to Pentrefelin and part of Llangollen yard, following the same successful pattern used at last year’s diesel weekend. Places are first-come, first-served and limited to 12 people per trip. The BLS/PLEG are taking reservations via their website for those who wish to guarantee a place on the 12:15 – https://www.branchline.uk/current-fixtures.php. You can upgrade your BLS ticket to a full day rover. Apologies for the limited capacity, but we only have two fitted vans available and one must carry a guard without passengers present. 33102 will haul two evening workings to Glyndyfrdwy on Saturday 29th. 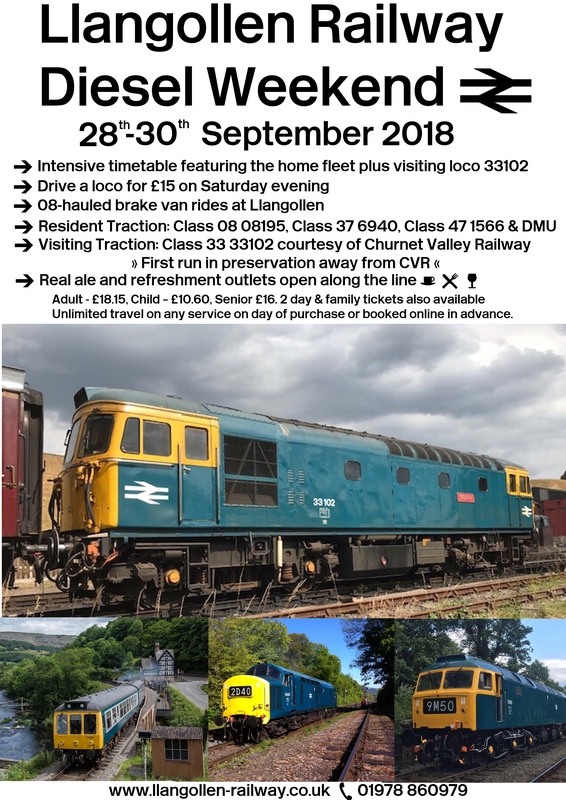 Bottled real ale will be available and we will also offer mini-driver experiences during the layover at Glyndyfrdwy for £15 per person (again, limited availability and subject to crew’s discretion). Suitable embellishments are being prepared for 33102 to recreate the atmosphere of the Weymouth Tramway in the 80’s, including a special headboard and the light & bell box the locos used to carry on their buffing plates whilst working on the tramway. The timetable and the event poster are displayed for your information. A pdf version of the timetable for printing can be downloaded here.